The techniques described in the Cartilage section may be applicable in the treatment of certain early forms of arthritis, where well-defined pieces of cartilage pull away from the bone and leave defects that look like potholes in the road. Many of the problems associated with cartilage break down and arthritis occur as part of the natural aging process through routine wear and tear. Injuries can also result in direct trauma to the cartilage. Sometimes these injuries only affect the cartilage. However, it is common for other injures, such as anterior cruciate ligament tears and fractures, to produce cartilage (chondral) injuries. Cartilage injuries associated with these injuries are frequently treated using those procedures. These relatively less invasive procedures can prevent further break down and help preserve joints. When left untreated, damage to a joint can continue and less invasive procedures eventually may not be possible. At that stage, frequently the only option is a total joint replacement. I have arthritis and have had some symptoms for years, but I've been having more pain or different symptoms lately. What is the problem? We spend a great deal of time trying to figure out the source of our patient's symptoms. One of the most frequently encountered problems is the scenario above. The answer is that even though there is arthritis, when there is an increase in the pain, the pain is in a different place, or there are different symptoms (especially symptoms of locking, catching, giving way, feeling unstable), there may be a new problem. The most common problem is a new meniscus tear. In some patients with arthritis, pieces of cartilage can separate from the bone and become loose bodies (pebbles in the joint). For these patients, an arthroscopy can be performed and the damaged piece of meniscus or loose bodies removed. Sometimes the piece of cartilage doesn't completely separate from the bone and this area can be smoothed down (chondroplasty). This can alleviate the new symptoms. When this is done and the problem was from a new meniscus tear, loose body, or unstable piece of cartilage, it works well. As you do your research and talk to friends and family, you will find many success stories with arthroscopy. Unfortunately, sometimes it's just that the arthritis has become worse. If the cause is worsening arthritis, then arthroscopic procedures are not likely to be successful. Although we do our best to figure out what the cause is, the truth is that it is not always possible. When arthroscopy is done and the arthritis really was the cause of the pain, not the new meniscus tear or loose body, then the symptoms will remain after the treatment is completed. During your research you will find people who report the arthroscopy procedure didn't help them. This is likely to be the reason, although it may not be mentioned. We come across this situation every day and will do our best to go over your treatment options. 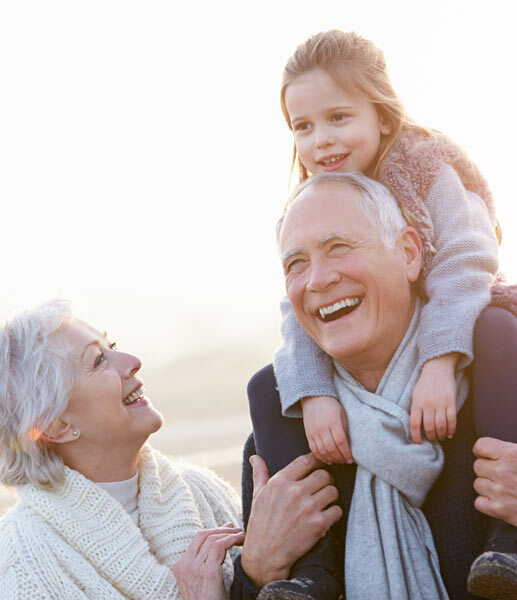 Although we utilize many joint preservation techniques, there are times when the arthritis or general condition is severe enough to warrant a joint replacement. Joint replacement surgery is one of medicine's greatest advancements. People who are crippled to the point that they can't walk, stand, or participate in meaningful physical activity have the opportunity to significantly improve their ability to function while relieving their pain. All joint replacements remove the diseased bone and replace it with metal, ceramic, or plastic. The majority of the muscles, tendons, and other supporting structures of the joint are left in place. Many of our patient's want to know what the latest advancements in knee replacement are, and if these options are available to them. Most of the advancements involve minimally invasive techniques and pain control. When the phrase, "minimally invasive" gained popularity in the early 2000's, most surgeons and patients were speaking about the smaller size of the incision. We quickly learned that the size of the incision had little effect on the function of the joint replacement. In fact, incisions that were too small resulted in the incorrect positioning of implants. Currently, "minimally invasive" surgery refers to "minimal damage" to surrounding tissues. It refers to handling deeper tissues (below the skin) such as muscle in a manner that results in the least amount of disruption possible. In our practice, every surgery we perform meets minimally invasive criteria. We put in a great deal of effort to make sure there is as little damage to the surrounding tissues as possible. Although it is not commonly referred to as minimally invasive surgery, arthroscopy is the original minimally invasive surgery. Therefore, arthroscopy is the preferred treatment for many conditions such as tears of the meniscus, rotator cuff, and anterior cruciate ligament. We also utilize minimally invasive surgical techniques to repair fractured bones. The result is faster recovery and improved outcomes. However, the term "minimally invasive" is most commonly used when referring to total joint replacement surgery. In the 2000's, shoulder, knee and hip replacement patients used to stay in the hospital for 5-7 days. Now, most patients stay a few days, and many total joint replacement patients can go home the same day. This is primarily a result of changes in the surgical techniques that result in less damage to the surrounding tissues. This results in a more rapid return to activities. We continue to keep a close watch on advancements in surgical techniques and implants. We strongly believe that there is a balance between new and established technology. New technology must be equal to, or better than what we currently use. With all new technology, the hope is that we can improve our current techniques. Shoulder, knee, and hip replacement surgeries have been some of the most successful surgeries in all of medicine. However, in the effort to improve those surgeries, there is always the potential that new techniques will result in outcomes that are not as good as what can be achieved with proven techniques. This is why academic studies that objectively evaluate new technologies and techniques are required. We have all heard about failed metal-metal hips. In essence, we took the most successful operation in all of medicine (total hip replacement), and made the outcomes worse. As far as we can tell, neither the implant companies that developed the implants nor the surgeons who implanted the devices were at fault. Rather, this was a classic case of science trying to make something that was good even better. In science, what seemed to be a better alternative, may later prove to have these types of consequences. It's part of the learning process that ultimately results in permanent achievements. At the Evangelista Orthopedic Clinic, we strongly support the scientific process. Without it, there wouldn't be any advances. However, in our practice, we feel that it is important that the techniques and implants we use have an established track record. That means we like to see that they have been used successfully, without any new or increased incidence of complications, for years. We will consider the use a new technique or device if it appears that there is a clear benefit with little or no patient risk. Computer and robotic assisted surgery have been around for more than fifteen years. In traditional computer assisted surgery (navigation), sensors are drilled into the bone. A special instrument in the operating room touches different parts (points) of the joint. Each one of these points is used generate a computerized image of the knee. The surgeon can now watch the computer screen as he cuts the bone. In theory, this can improve the accuracy of the cuts and the alignment of the implants. In its current form, robotic assisted surgery takes computer assisted surgery one step further. A CT scan is obtained before surgery. A surgical plan is then created by the computer and adjusted by the surgeon. In the operating room, the same procedure described above is utilized (sensors are placed in the bone and a computerized image of the knee is created). The cutting instrument is now attached to the robot. However, the robot arm is still under the control of the surgeon. The surgeon then follows the surgical plan. If he cuts, "outside the lines," the robot stops cutting. At the time of this writing, robotic assisted surgery is available for partial knee replacement and placement of the acetabular (cup) component during total hip replacement. Computer assisted surgery is available for total knee replacement and placement of the acetabular (cup) component during total hip replacement. Although, we are always striving to be more precise in the placement of implants, at this time, we do not see a clear benefit to computer navigation or robotic surgery. However, we continue to follow its progress. We believe that as the technique improves, the field of robotic surgery will continue to grow. Currently, for total knee replacements, we obtain an MRI before surgery. The MRI is then loaded into a computer and used to create a surgical plan (similar to that used in robotic surgery). The implant manufacturer then uses the surgical plan to create custom instruments for each patient. Although they are not necessary for every patient, we feel that these custom instruments are beneficial. They increase our accuracy during surgery, which improves the position of the implant. They eliminate extra drill holes in the bone that are needed with traditional guides or standard computer navigation. This results in less trauma to the knee. In addition, it decreases the surgery time, which results in less blood loss and anesthesia. For patients who are unable to have an MRI, the surgical plan can also be created from a CT scan. Partial knee replacements (only one side of the joint is replaced) can also benefit from obtaining an MRI before surgery. Similar to total knee replacement, the computer will create a surgical plan. The implant manufacturer then uses the surgical plan to create custom instruments for each patient. Partial or total knee replacement… Which is the best option for you? Let us first understand what we are working with. The knee is divided into three compartments. The first compartment is the patellofemoral (the knee cap and the center of the femur). The patella (knee cap) moves over the center of the femur (groove). The lateral compartment is on the outside of the knee. It is where the outside part of the femur and tibia come into contact. The medial compartment is on the inside of the knee. It is where the inside part of the femur and tibia come into contact. A partial knee replacement removes the damaged bone in only one compartment. The bone is then replaced with metal and plastic. A total knee replacement removes damaged bone from all three compartments. The bone is then replaced with metal in plastic. A partial knee replacement only addresses damage (i.e. arthritis) in one spot, and does not correct problems (i.e. arthritis) that may exist in other parts of the knee. It requires intact ligaments (anterior cruciate ligament, ACL) in order to have a stable knee. In addition, the partial knee replacement can only correct mild deformities. Partial knee replacements have been most successful for medial and lateral compartment arthritis. Patellofemoral partial knee replacements have not been as successful. The primary advantages of a partial knee replacement are that the knee feels more natural and the recovery is easier. If the arthritis is in other parts of the joint, the ligaments are unstable, or the deformity of the knee is too great, then a total knee replacement is recommended. In addition, if a partial knee replacement is performed, and arthritis develops in other areas of the knee, the partial knee replacement may need to be removed and a total knee replacement performed. The decision to proceed with a partial or total knee replacement can only be made after a thorough history, physical examination, and review of x-rays or MRI. Successful partial knee replacements provide long-term relief. Although partial knee replacement is successful, most patients with knee arthritis have it in more than one location. As a result, most patients are not candidates for partial knee replacement. Total knee replacement is the standard treatment for knee arthritis that does not respond to other treatments. The majority of patients have pain relief and improved function. We make every effort to provide alternatives to total knee replacement. However, when these methods fail, and the arthritis results in unacceptable levels of pain and loss of function, total knee replacement usually reduces pain and improves function. Many patients have questions about the type of implants used or the manufacturer. Like all big businesses, competition among the manufacturers has resulted in large marketing campaigns. There are reports of improved motion, gender specific knees, as well as other claims. The truth is that all of the major manufacturers have great products. Furthermore, although there are some differences, they all provide implants that have good long-term results. They all can achieve excellent range of motion. In the early days of knee replacement, there were only a few sizes to choose from. Now, most of the manufacturers have many sizes to choose from. It is the different sizes that are most important, not whether they are labeled male or female. We have experience with all of the major manufacturers. We do not have any consulting agreements with the joint replacement companies and we do not receive any royalties. We use the implants we use because we feel they give our patients the best results. If you are having a joint replacement, we recommend you choose a surgeon based on whatever criteria are important to you, but we don't think that criteria should include whether they use a particular company or product. Any discussion about joint replacement must include pain control. All of the joint replacements (total shoulder replacement, reverse total shoulder replacement, total knee replacement, partial knee replacement, total hip replacement) have benefitted from advances in pain control. One of the fundamental principles guiding modern day joint replacement is early mobilization (getting patients out of bed and moving). We know that the incidence of complications (blood clots, pneumonia, nausea) is decreased when patients begin walking as soon as possible. Anesthesia plays a critical role in this. The more general anesthesia someone receives, the more likely they are to be tired, dizzy, and nauseous. The more pain someone has, the less likely they are to want to get out of bed. We have worked very hard to decrease the amount of general anesthesia patients receive. In order to achieve this, we work with anesthesiologists who are experienced in total joint replacement. When possible, we prefer spinal anesthesia. This avoids many of the problems associated with general anesthesia. In addition, we only work with anesthesiologists who are experienced in the latest nerve block techniques. Currently this involves the use of special ultrasound machines that assist with the placement of a needle close to the nerves that control pain in the area of the surgery. An anesthetic is then injected and numbs the arm or leg. This technique allows the anesthesiologist to use less anesthesia during the surgery, decreasing nausea as well as the post-operative requirements for narcotics. These nerve blocks can last up to 24 hours. Furthermore, we use Exparel™ on almost every joint replacement patient. Exparel™ is a special long acting local anesthetic. The medication is injected around the surgery site before or after the implants are placed. Many patients report complete pain relief for up to two days. In our opinion, the use of special anesthesiologists, nerve blocks, and Exparel™ has fundamentally changed joint replacement surgery. With less pain, patients begin working with a physical therapist the day of surgery. We expect all of our patients to walk the day of surgery. We believe this decreases the risk of complications and makes the transition home easier. Patients no longer need to stay in the hospital more than a few days. Some patients will choose to go home the same day.